Cabrito Goat Meat is joining chefs including Raymond Blanc, Skye Gyngell and Angela Hartnett as well as high street restaurants like Jamie’s Italian, Carluccio’s, Zizzi and Wahaca by participating in the Sustainable Restaurant's Association's One Planet Plate campaign. One Planet Plate is a restaurant campaign to put sustainability on the menu – a chance for chefs worldwide to demonstrate to diners in food form how they’re contributing to a better food future.serving a dish that highlights how they’re addressing the problems in the food system as part of the SRA's global campaign to help diners use the power of their appetites wisely. #OnePlanetPlate launches on Saturday 24 March, coinciding with WWF's Earth Hour - the largest environmental event in the calendar and a perfect moment to grab diners’ attention. 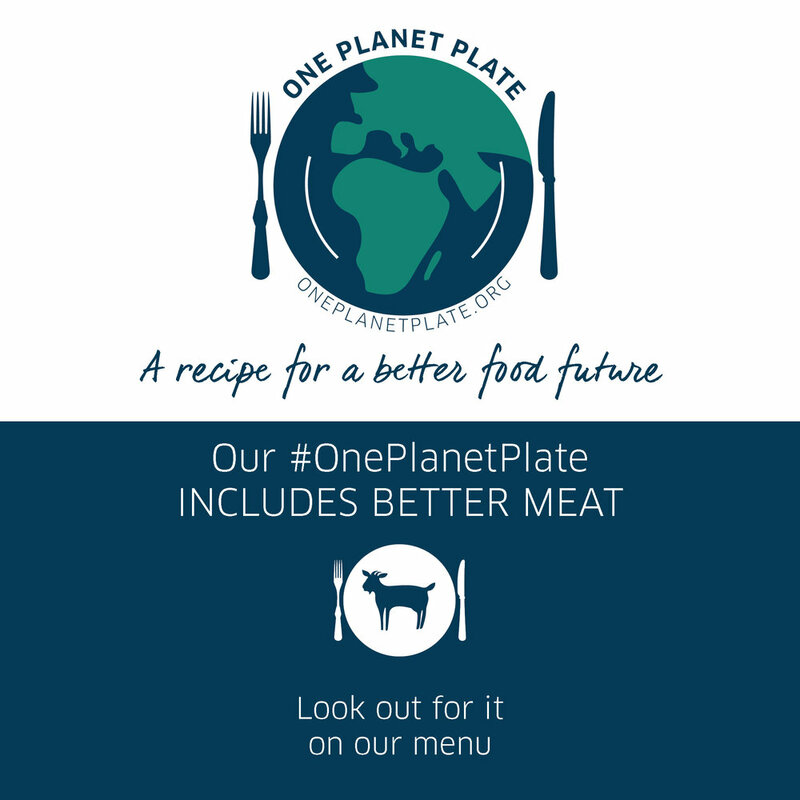 The SRA is calling on diners to play their part by snapping a picture of a One Planet Plate when they eat out and sharing it on social media using #oneplanetplate.